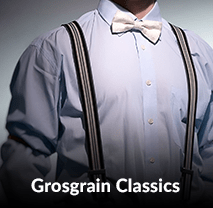 You can wear any suspenders on this site for a wedding. 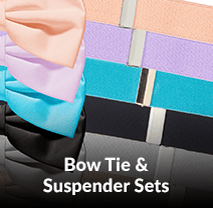 Browse our vast selection and find the suspender style that matches your wedding theme. Same economical suspender choices with coordinating bow ties for some additional flair! Be sure to check out our coordinating pocket squares and lapel flowers too! 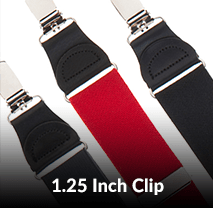 Slightly wider featuring dressy drop clips and a more upscale fabric. Available in many Springy bright colors. More expensive but also more upscale for dressier venues. Great for Fall and Winter weddings, these subdued colors are classy and traditional. More expensive than elastic suspenders but also more dressy and refined. A great middle of the road option featuring dressier Y-backs and drop clips, but featuring economical elastic straps. 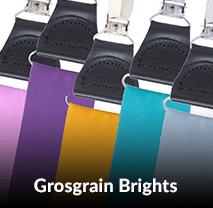 Basic suspenders available in many popular wedding colors. An economical alternative. Perfect for a wedding taking place in the great outdoors. Add some jazz and sparkle without going overboard for a glam filled evening. When only the classiest look will do. Celebrate a hobby or interest or just add some humor to your day. Reception at an aquarium? Marrying an angler or scuba diver? How about some Fish Suspenders? Love music? Try some music themed suspenders. Getting married on the 4th of July or in the military? Go Patriotic! No plain Jane here - mix it up by adding some colorful stripes or sophisticated paisleys. Add some whimsey with Polka Dot suspenders. Or be traditional with a plaid or argyle. Suspenders should add comfort as well as style to your wedding day. Opting for suspenders for your groomsmen means no uncomfortable belt after the big meal and no droopy pants on the dance floor. But getting the correct size suspender will further ensure the right functionality for all of your wedding party no matter what their age, height, or weight is. Learn how to measure and choose the correct size for a perfect suspender fit! 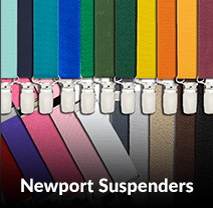 It's time to find the perfect suspenders for your wedding!